the scent of green bananas: heart of darkness. Posted by santos. This entry was posted on 20060213 at 9:59 PM You can skip to the end and leave a response. 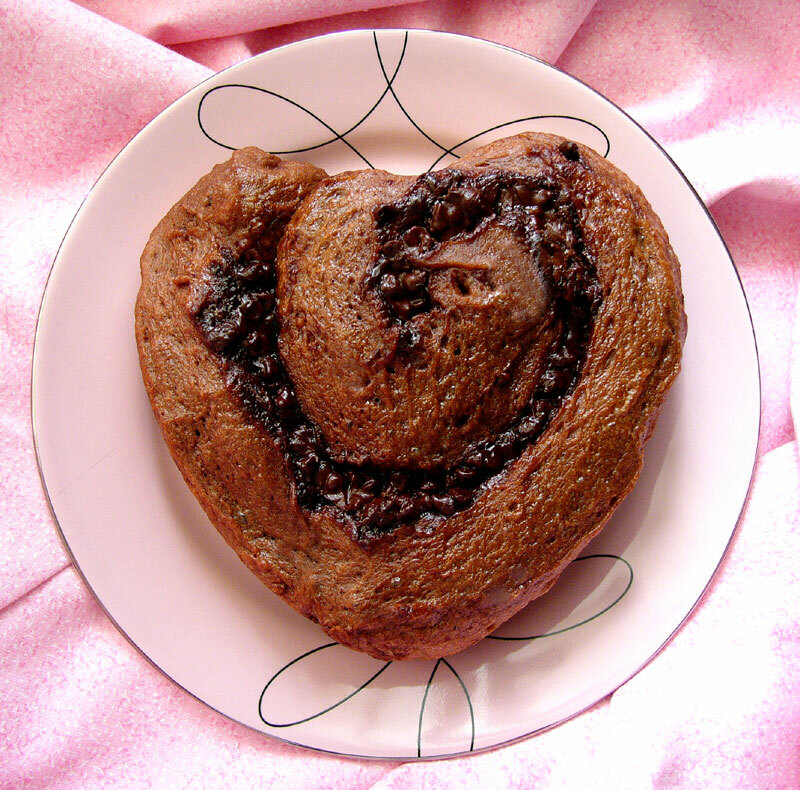 Such a cute little bun - I love the heart shape! And anything with Nutella gets a thumbs up from me! mmm hot bun you got there ms santos. i was doing the choc-cherry thang over the weekend too. i think the use of cherries with chocolate makes for a grown up, tarty affair. lovely work as usual. hello anita! i'm not normally a nutella fan--i find it a bit too sweet--but the addition of semi-sweet chocolate chips helps add a bit of bitterness and richness to it. hi saffffffffffrrrrron, hot bun, hot bunny. love your brownies, madame. j--i'm drooling over your 'tail on the breast of polenta....lazy is not the word for you. good god, all i do is flip a wad of dough around and here you are braising, daubing, risottoing, marquising...i get exhausted just looking at all of it. have not heard about richard bertinet, good thing about blogs is you learn a lot. can't wait to see how your ensaymada turns out!